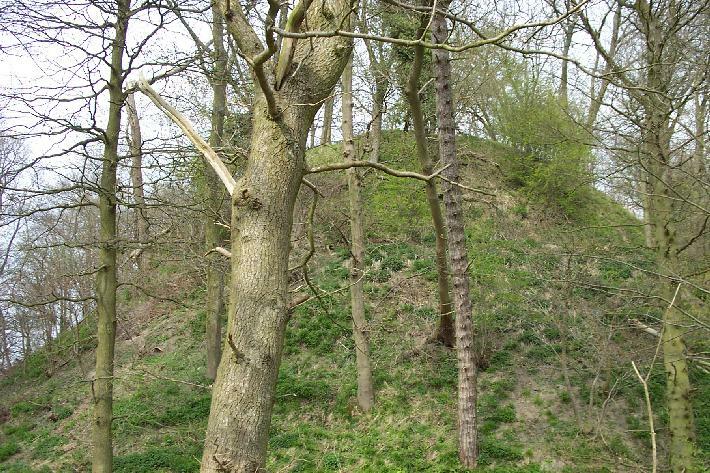 It is probable that the outer earthworks of this site are those of an Iron Age fort, adapted in medieval times to form the outer bailey of this impressive castle. It consists of a high motte with a very small summit, crowned with the ruins of a small stone tower; and a massively defended inner bailey. The bailey contained a borough probably created by Roger Corbet in 1198 and it is recorded that by 1349 there were 58 burgesses living there. However, in 1521 the castle was described as being in great ruin and decay. The Corbets were a Marcher family who succeeded to the borderlands of the Norman earldom of Shrewsbury after 1102. 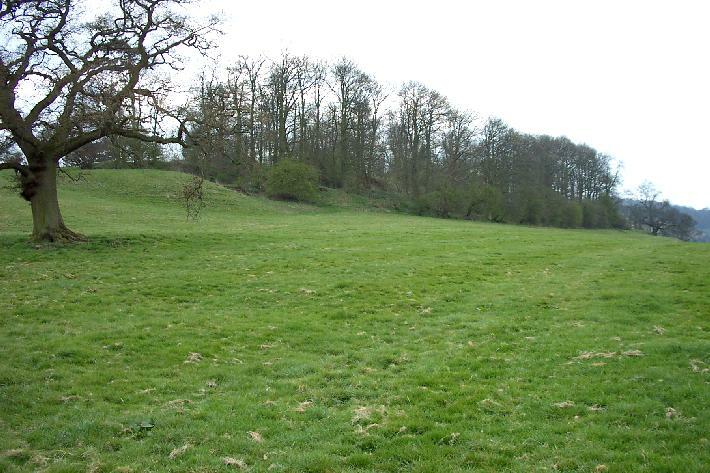 Nearby, on lower ground, is the ringwork site of a former timber castle known as Hawcock's Mount, a name which is a corruption of "Old Caus." Here, as at Montgomery, a stone castle succeeded a timber one. In the late 11th century, the Corbets were the most powerful tenants of the earls of Shrewsbury in this area, and Old Caus was probably built as part of the initial Norman settlement of the area. Just as Roger de Montgomery named his new castle after his place of origin in Normandy, so also the Corbets adopted a nostalgic name, derived from the Pays de Caux, for their castle. Robert Higham & Philip Barker, Timber Castles, Stackpole Books, Mechanicsburg, PA, 1992.